Andrew is a Partner of Ross & McBride LLP. He received his LLB from Osgoode Hall Law School; his B.A. and M.A. from York University. He has appeared in all levels of Court in Ontario. He frequently speaks at legal education events relating to advocacy, tort, insurance, civil procedure and legal ethics. 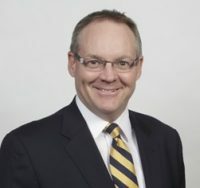 Andrew is a past President of the Hamilton Law Association; a former Director of the Advocates Society; and a recipient of the Ontario Trial Lawyers Association’s: Distinguished Service Award. Andrew is an Adjunct Professor of Law at Western University and a Bencher of the Law Society of Ontario.